Covering an area of 68,000 square miles, Uruguay is the second-smallest nation in South America. The guitar is the preferred musical instrument, and in a popular traditional contest called the payada, two singers, each with a guitar, take turns improvising verses to the same tune. Football (soccer) is the most popular sport in Uruguay. The first international match outside the British Isles was played between Uruguay and Argentina in Montevideo in July 1902. In our mission story last week about Miss Sonia’s House, we were introduced to Miss Sonia’s friend, Miss Graciela. Miss Graciela let the children meet at her house when the group outgrew Miss Sonia’s home. This week we’re going to learn more about Miss Graciela and how she became a Seventh-day Adventist. Miss Graciela always had a place in her heart for Jesus. When she was a child and teenager, Miss Graciela went to a small church group that met on Sundays in the very home that now belongs to her! While she was happy to learn about Jesus and His love for her, sometimes the church service became very noisy with many people making strange noises all at once, and Miss Graciela felt very uncomfortable. But Miss Graciela fell in love with the son of the owner of that house, and after they grew up, they got married, and they had two children of their own. Then their children had children, and they became grandparents! One day Miss Graciela was at home watching a television program from a Sunday-keeping church. The preacher started talking about someone by the name of Ellen White. He said that this woman had written some books that weren’t true and that she was a very bad person. As Miss Graciela listened to the preacher going on and on about this, she decided that she wanted to read a book by this Ellen White so that she could decide for herself if her books were good or bad. Miss Graciela went to the library, but she couldn’t find any books by a woman named Ellen White. She went to the bookstore, but she couldn’t find any books by Ellen White there either. But Miss Graciela didn’t give up. She kept praying that one day she would be able to read a book by Ellen White. Then one day something wonderful happened. Miss Graciela’s granddaughter needed a new pair of shoes, so her daddy (Miss Graciela’s son) took her to the shoe store. While they were looking for shoes, they saw a book that was being given away. Even though Miss Graciela’s son and granddaughter aren’t Christians, they picked up the book because they thought that Miss Graciela would like to read it. When they got to Miss Graciela’s house and gave her the book, she was so excited! It was a book by Ellen White called The Great Hope! Miss Graciela was sure that this book was a gift from God, and she started to read it right away. She liked the book and could see that what Ellen White wrote followed the Bible and that it was true. It was so interesting that she wanted to learn more. Miss Graciela started listening to the Adventist radio station, Nuevo Tiempo, and one day she heard the announcer offering free Bible studies. She called the radio station, and they sent a Bible worker to come to her home. Miss Graciela loved the Bible studies, and before long she was baptized. 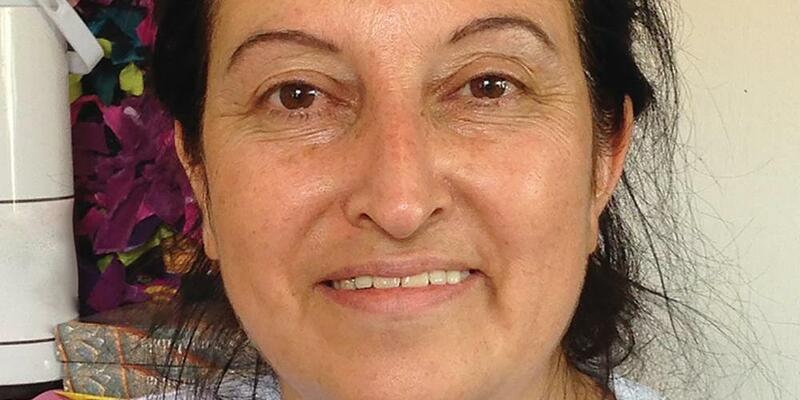 When Miss Graciela started coming to the La Teja Seventh-day Adventist group, she met Miss Sonia. The two ladies became good friends, and they now work together teaching the children that come each week to their branch Sabbath School that we heard about last week. Thank you for giving to the Thirteenth Sabbath offering. Thank you also for praying for the many children and adults in Uruguay who need to learn about Jesus and His love for them.